Conveniently located close to a major shopping centre, this spacious Villa comprises two large bedrooms plus a large study or possible third bedroom. The master bedroom features a walk-in robe. All living areas are on one level and the property is presented very tidy and ready for you to move straight in, with no additional work to do. The spacious open plan living area has plenty of natural light and ventilation. The timber kitchen has been upgraded and features stainless steel appliances and a full-size Island bench that over looks the dining area and living room areas. A wide covered verandah is the perfect extension to the indoor living areas and a place you will use for alfresco dining and relaxing. You will love this feature of the home where can easily access the outdoor living space but stay connected to the indoor living space. With only two Villas on a 925 m2 block, ensures you have plenty of space for a garden and plenty of car parking with one single garage, an extra high carport that could house a small caravan and a car space near the entry. Bathroom has been fully renovated and the floor coverings are in as new condition. For your comfort there is a reverse cycle air conditioner and ceiling fans. NBN internet connection is fitted and there a large under house storage area. Only 800 m to Boambee Creek Reserve and Boambee Beach where you can enjoy swimming, fishing or paddle boarding. This beach allows dogs off leash and you can also access Murrays Beach via the walking tracks over the headland. Sawtell Village is only a short drive where you can enjoy breakfast or lunch at one of the many cafes or dine at one of the restaurants, clubs or hotel. Sawtell also features a cinema, specialty shops, surf club and art gallery. 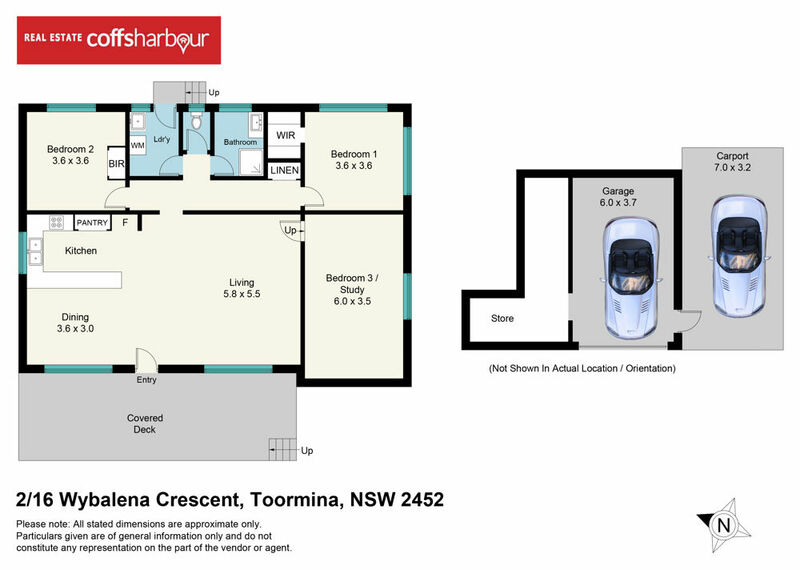 Toormina Gardens shopping centre is 850 m away with Coles, Woolworths, Aldi, KMart and specialty shops. Bus stop is close by and it is only a short drive to airport. This Villa is well worth an inspection and would suit a wide variety of buyers.